Hillary Bliss is CAA development and marketing manager. 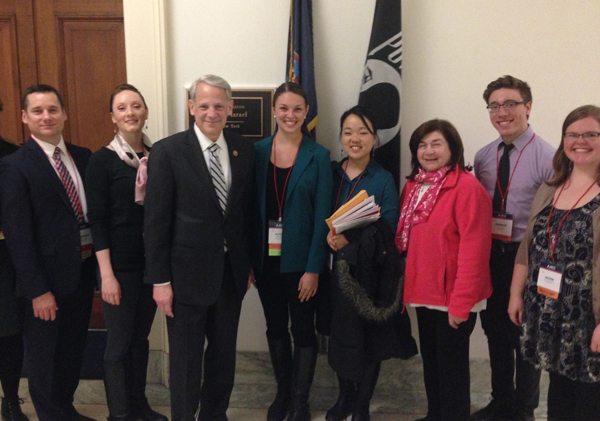 Last week CAA sent two representatives to participate in the twenty-eighth annual Arts Advocacy Day in Washington, DC. Anna Cline, CAA development and marketing assistant, and I joined 550 grassroots advocates representing forty-eight states to lobby for strong public policies and increased funding for the arts. CAA also supported the event, which is organized by Americans for the Arts, as a national cosponsor. Cline and I attended a full day of training that included legislative and political updates, in-depth briefings on our three primary “asks” (more on those later), and facts and figures to make a compelling case for the arts. We also heard an inspiring keynote address by Jane Chu, the recently appointed chairman of the National Endowment for the Arts (NEA). A role-play demonstration for congressional visits was incredibly helpful in illustrating how advocacy teams can manage the varying personalities and political agendas of senators, representatives, and their staffs to communicate clear messages and secure commitments of support in the form of caucus enrollment or letters addressing particular funding levels or policy positions. The most important takeaway was to strategically couple facts and figures—whether they be economic impact reports, matching-fund statistics, or art education’s effect on drop-out rates and SAT scores—with personal stories to create memorable and meaningful visits with legislators. NEA Funding: We sought support for a $155 million budget for the NEA in the fiscal year 2016 Interior Appropriations bill. The broad reach and impact of the NEA can not be overstated: the agency awards approximately 2,300 grants per year to organizations in every US congressional district, reaches more than 38 million people through live art events, and helps to leverage roughly $600 million in matching funds from other state, local, and private sources. 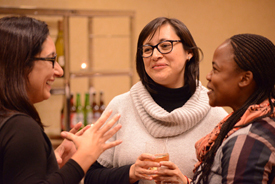 Closer to home, CAA has received support from the NEA every year since 2010 for ARTspace, a free and open component of the Annual Conference. Arts in Education: We urged Congress to support $30 million for the Arts In Education (AIE) programs in the fiscal year 2016 Labor-Heath and Human Services-Education appropriations bill and retain it as a distinct grant competition for programs that strengthen the arts as a core academic subject of learning. 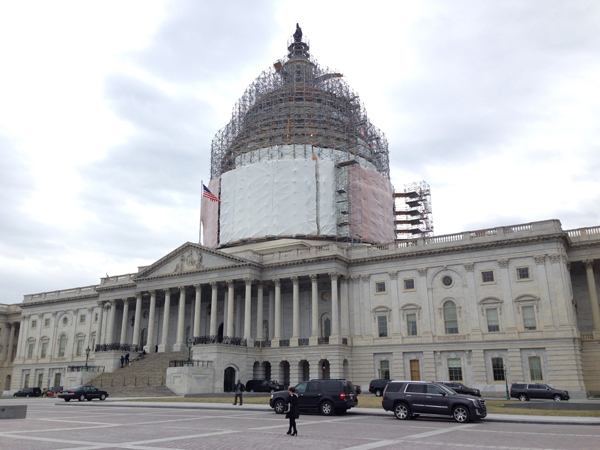 Consolidation into an appropriations bill would risk compromising the program. We also sought support for retaining the arts in the definition of core academic subjects and for strengthening equitable access to the arts in the reauthorization of the Elementary and Secondary Education Act (ESEA). Tax Reform: Since many arts organizations operate as nonprofit entities, tax reform regarding charitable giving is a critical issue. We asked Congress to preserve incentives for donations by protecting full value tax deductions for all forms of charitable gifts; we also advised against the adoption of “caps” or “floors” for deductions. We also urged Congress to make the IRA charitable rollover permanent so that donors can achieve the greatest impact with their planned giving. We also asked representatives to support the Artist-Museum Partnership Act, which would allow artists to take an income tax deduction for the fair market value of their work when they donate it to charitable collecting institutions. There was no shortage of issues this year: advocates addressed arts in health, net neutrality, protection of wireless technology for the arts and media, and visa processes for foreign guest artists in short training sessions throughout the day. You can download American’s for the Arts’ 2015 Congressional Arts Handbook for facts and figures on all of these issues. Closing the prelude to Arts Advocacy Day was the Nancy Hanks Lecture on Arts and Public Policy, this year given by the television writer and producer Norman Lear at the John F. Kennedy Center for Performing Arts. You can view Lear’s moving lecture, introduced by the hip-hop recording artist Common, on YouTube. 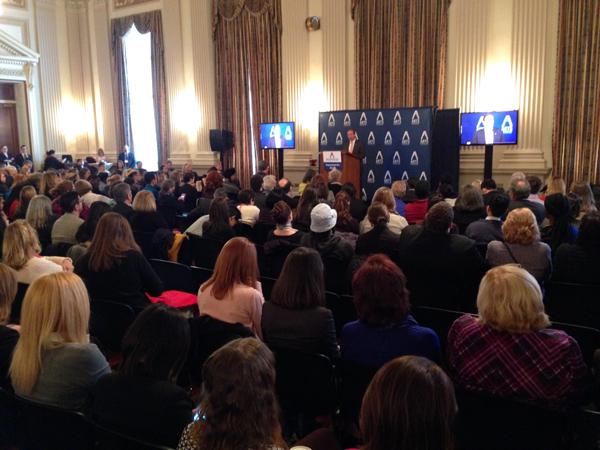 The packed Congressional Arts Kick-Off on Tuesday marked the official start of Arts Advocacy Day on Capitol Hill and featured speakers such as Representative Louise Slaughter (D-NY) and Representative Leonard Lance (R-NJ), cochairs of the Congressional Arts Caucus. Senator Tom Udall of New Mexico received the Congressional Arts Leadership Award in recognition of his distinguished service on behalf of the arts. Cline and I were on separate advocacy teams representing the New York City area that included undergraduate and graduate students and representatives from arts organizations such as Actors’ Equity Association, Fractured Atlas, POV, and others. We met with the offices of Representatives Carolyn Maloney (NY-12), Grace Meng (NY-6), Jerrold Nadler (NY-10), Lee Zeldin (NY-1), Peter T. King (NY-2), Steve Israel (NY-3), Kathleen Rice (NY-4), Gregory W. Meeks (NY-5), and Hakeem Jeffries (NY-8). Overall the meetings went extremely well. Our groups were able to address the key public policy and funding issues mentioned above, as well as to communicate the work of CAA and its members. In a visit with Nadler’s office, Cline thanked the congressman for his vigorous efforts to pass the American Royalties Too (ART) Act, which would ensure that visual artists are compensated when their original artwork is resold; she also offered CAA’s continued support for this legislation. Though a meeting was originally scheduled with a member of his staff, Rep. Israel met with my team to discuss the NEA budget. As a member of the House Committee on Appropriations—and more specifically, the Subcommittee on Interior, Environment, and Related Agencies, which covers the NEA budget—Israel spoke about the budget process and stated that its current proposal includes $155 million for the NEA. Time will tell what the final approved NEA budget will be. Visiting the congressional office buildings reinforces the fact that senators and representatives work for you. I noticed a marked difference in visits to representatives for whom we had a constituent on our team. Multiple staffers told us that they needed more vocal support for the arts to pass the legislation and public-funding increases we were requesting, so I encourage you to contact your legislators and express your support. Americans for the Arts has a useful site that includes not only information on issues and supporting materials like facts and figures, but also links to tools for finding and contacting your legislator. CAA invites nominations and self-nominations for individuals to serve on eight of the twelve juries for the annual Awards for Distinction for three years (2015–18). Terms begin in May 2015; award years are 2016–18. CAA’s twelve awards honor artists, art historians, authors, curators, critics, and teachers whose accomplishments transcend their individual disciplines and contribute to the profession as a whole and to the world at large. Nominations and self-nominations should include a brief statement (no more than 150 words) outlining the individual’s qualifications and experience and an abbreviated CV (no more than two pages). Please send all materials by email to Lauren Stark, CAA manager of programs; submissions must be sent as Microsoft Word attachments. Deadline: April 24, 2015. 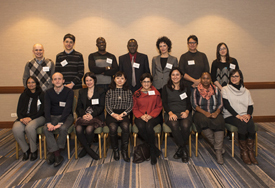 This year, fifteen scholars from around the world attended CAA’s Annual Conference in New York as participants in the CAA-Getty International Program. The temperature in town when everyone arrived on February 8 was a frigid 10 degrees; nonetheless, the international travelers were intrepid, and their warmth and excitement did much to allay the cold weather outside. Now in its fourth year, the program brings together art historians, artists who teach art history, and museum curators to meet with CAA members in their fields of study, attend conference sessions, and participate in a one-day preconference colloquium on international issues in art history. Funded by a generous grant from the Getty Foundation, this year’s scholars came from Argentina (Georgina Gluzman), Bangladesh (Mokammal H. Bhuiyan), Brazil (Ana Mannarino), Burkina Faso (Boureima Diamitani), China (Shao Yiyang), Croatia (Ljerka Dulibić), Hungary (Márton Orosz and Nóra Veszprémi), India (Savita Kumari), Mexico (Dafne Cruz Porchini), Russia (Andrey Shabanov), South Africa (Nomusa Makhubu and Lize van Robbroeck), Uganda (Angelo Kakande), and Ukraine (Nazar Kozak). For some, it was their first visit to the United States; for all, it was their first time at a CAA Annual Conference. The colloquium included a number of CAA members serving as hosts to the international scholars. 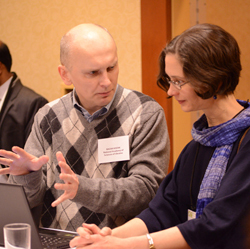 This year, many hosts came from select CAA affiliated societies, thereby sharing scholarly interests and providing networking opportunities for the participants. For example, Deepali Dewan, president of the American Council for Southern Asian Art (ACSAA), was paired with Savita Kumari, an Indian art historian specializing in medieval and premodern Indian art, and Elisa Mandell, president of the Association for Latin American Art (ALAA), served as host to Georgina Guzman from Argentina and Dafne Cruz Porchini from Mexico. 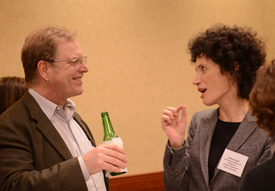 Other hosts came from the Society of Historians of East European, Eurasian, and Russian Art and Architecture (SHERA), the Arts Council of the African Studies Association (ACASA), the Renaissance Society of America (RSA), and the Society of Contemporary Art Historians (SCAH). CAA’s International Committee also supplied hosts, rounding out an excellent group of art historians to welcome and assist the international scholars. CAA is grateful to the National Committee for the History of Art for its financial support of the hosting activities of these CAA members. The CAA-Getty scholars were busy throughout the conference week, attending sessions, meeting colleagues, and visiting New York museums and galleries. On Thursday the group attended two sessions, sponsored by CAA’s International Committee, that examined the legacy of the landmark exhibition Magiciens de la Terre, curated by Jean-Hubert Martin in 1989 at the Centre Georges Pompidou and the Grande Halle at the Parc de la Villette in Paris. Martin, who participated in the sessions and attended Tuesday’s preconference as well, discussed the rationale behind the exhibition, which challenged Western preconceptions about non-Western art by displaying an unprecedented mix of objects—half of the works were by Western artists and the other half by artists from the rest of the world. Martin’s presentation was followed by other talks and, later in the afternoon, a roundtable discussion. In all, the events of this day provided an excellent platform for continuing Tuesday’s discussion about international issues in art history. As in past years, CAA’s International Committee was centrally involved in planning this year’s international program. We are particularly grateful to Rosemary O’Neill, chair of the committee, for her enthusiastic support. In addition to organizing the sessions on Magiciens de la Terre (with her fellow committee member Gwen Farrelly), O’Neill helped to coordinate the preconference colloquium and even raised outside funds to bring Martin to the conference. At the close of the week’s activities, program participants met again to learn about publishing art history in the United States and opportunities for residencies at research institutes. Susan Bielstein from the University of Chicago Press, Kirk Ambrose, editor of The Art Bulletin, and Gail Feigenbaum of the Getty Research Institute provided enormously helpful information on these subjects. The CAA-Getty scholars then had a weekend on their own to explore New York before heading to the Sterling and Francine Clark Art Institute in Williamstown, Massachusetts, to meet with scholars there and learn about the research opportunities offered by that institution’s Research and Academic Program. The trip was a wonderful opportunity to see a great museum and experience a totally different part of the United States (where it was even colder than New York). The purpose of the CAA-Getty International Program is to bring a more diverse and global perspective to the study of art history by generating international scholarly exchange. This year’s visitors brought with them a great deal of knowledge, enthusiasm, and curiosity about the field, which they shared with the CAA members they met, as well as with each other. In return, conference attendees offered their expertise and friendship, beginning relationships that will hopefully bear fruit in future projects and collaborations. Under the supervision of the Executive Director, is responsible for providing leadership for CAA’s conference programs, identifying content, content providers, and dissemination mechanisms that meet the needs of those working in academic visual arts fields. This position enables CAA to respond to a changing environment by planning and implementing conferences as well as special programs and activities that support the CAA Strategic Plan. Responsibilities include all planning and administrative activities related to organizing CAA conferences and meetings, such as the selection and contracting of the conference hotels and preparing and publishing all conference information. Acts as ex officio liaison to the annual conference committee, which vets all session proposals, and schedules its meetings. In consultation with leaders in the visual arts fields, identifies workshop leaders, career services mentors, roundtable leaders, distinguished artists to be interviewed, and distinguished art historians to be honored. Oversees the organization of CAA’s Career Services and interview hall. Works in cooperation with a local community to organize exhibitions and receptions. Prepares the schedule of special events, including convocation, openings, and the annual business meeting. Works cooperatively with the staff and individuals from the hosting community and local universities and museums to prepare and coordinate all conference programs. Administers conference travel grant programs. Organizes other conferences and regional meetings as needed. Prepares annual budget and forecasts and adheres to budgets. Supervises Programs Department staff: Assistant Director for Annual Conference, Manager of Programs and Archivist, CAA-Getty International Program Manager and Programs Assistant (part-time). 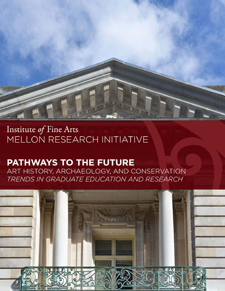 Under the supervision of the executive director, the associate director is responsible for developing scholarly communication strategies for CAA, and communicating with its members and to the international community of academic and museum visual arts faculty, students, and curators. The associate director will work to help CAA address the changing needs and demographics of the academic visual-arts field and to communicate the value of the Association to individuals in academia, in museums, and those who work independently. This position: 1) oversees strategic communications for social media and social communications regarding the annual conference, newsletter, website, directories of graduate programs, affiliated societies, fellowships and professional development programs; 2) stays current with issues related to communications in the visual arts in academia and art museums and recommends actions to be taken by the Association on behalf of the field; 3) represents CAA at meetings, conferences and events that promotes awareness of the Association. Supervises the full-time newsletter editor and a full-time staff assistant. Current with trends and critical issues in academic visual arts, art museums and professional visual art associations, and learned societies.